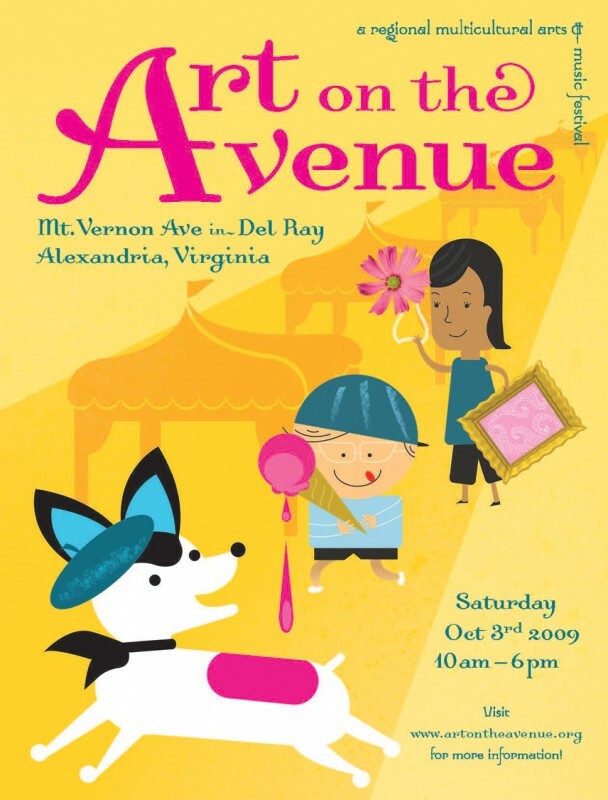 Art on the Avenue is an annual art festival designed to draw people to a the Del Ray neighborhood of Alexandria, Virginia. In 1990, Del Ray's main street had few economic options that truly served the neighborhood as a whole. The businesses on the main street was limited to a seamstress, a bait shop, an exterminator and one bar. My illustrations helped to strengthen the economics of the neighborhood as a destination place for art events. This creative energy drew interest from developers, new restaurants and shops. The new businesses began to respond to the people living in the neighborhood. 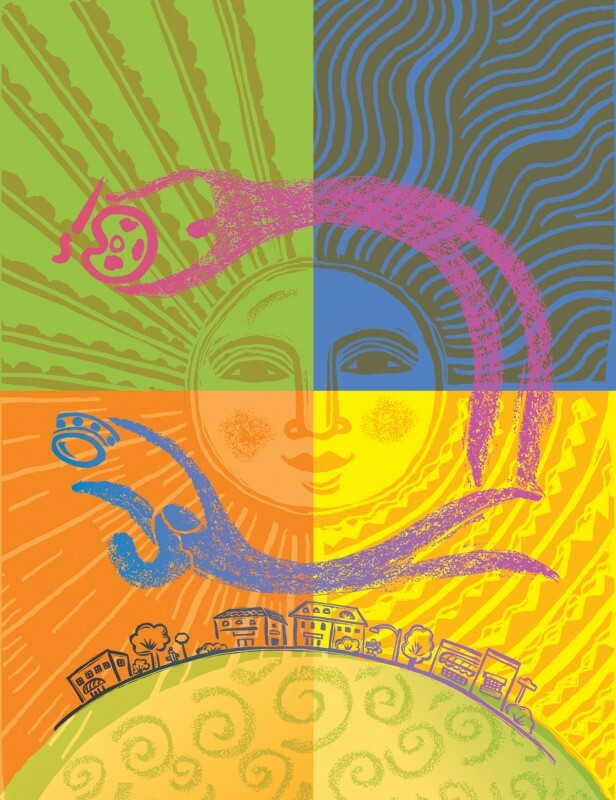 The art festival continually strengthens this visual message through the agency of it's table top cards, posters, t-shirts and banners. Since 1990 Del Ray has become a walkable neighborhood alive with businesses that serve and define the community.